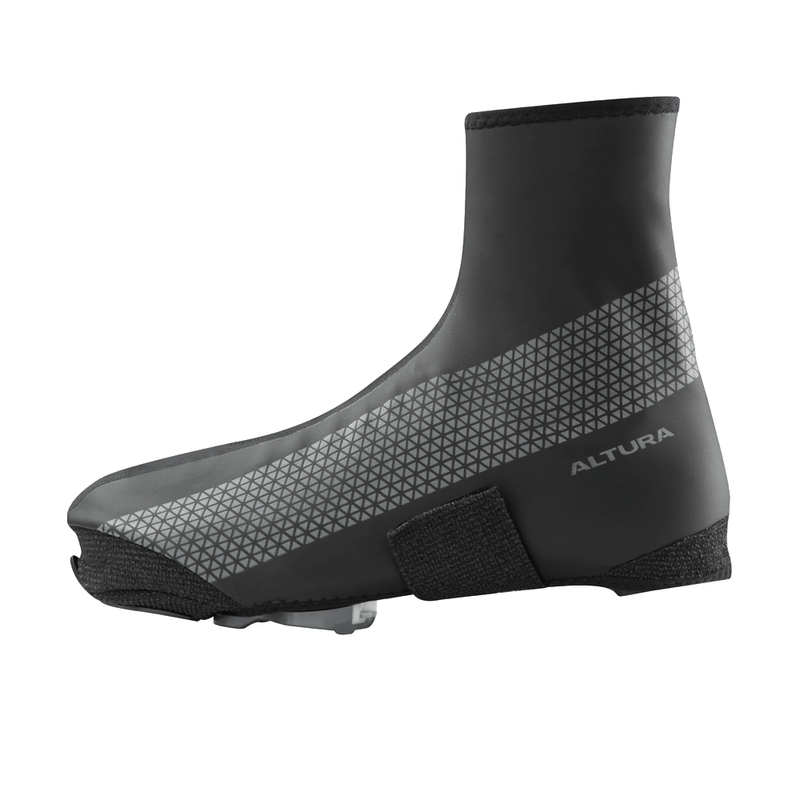 The Nightvision 4 waterproof cycling overshoe is one of Altura’s most popular overshoes for cycle commuters due to its easy on-off fitting via an under shoe strap. The Nightvision 4 waterproof Overshoe has proven to be a dependable and reliable choice for poor weather riding where waterproof and breathable properties are required. A large reflective print on the outer sider of the over shoe helps to improve rider visibility.